What Is a Chemotherapy Catheter? Chemotherapy drugs are sometimes delivered through an IV catheter. 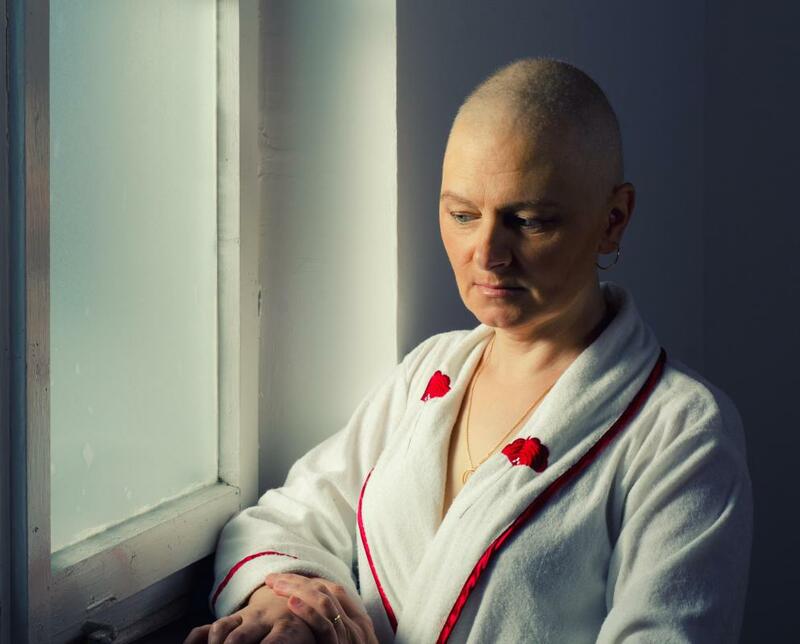 The emotional side effects of chemotherapy can be difficult for patients to deal with. The term catheter refers to a piece of tubing, typically easily bendable, that a doctor partially inserts into a patient's body. In the specific case of a chemotherapy catheter, this is usually used to administer anti-cancer drugs, or to take blood samples from the person throughout the course of treatment. As the chemotherapy catheter saves the patient from repeated injections, the tube can remain in the body for the entire time the person needs to take the drugs. The chemotherapy catheter comes in several varieties, depending on the specific aim of treatment and the length of drug delivery. Typically the catheters are named after the area of the body they are designed for use in, or their appearance. In addition to a catheter, a patient may also have another piece of equipment, called a port, inserted into his or her body. A port is surgically placed under the skin, and is attached to a catheter that is inside the body, and acts as a permanent point at which a nurse can inject drugs through. As blood vessels move substances around the body, a property which can be useful to get chemotherapy to areas of the body where it is needed, the circulatory system is a popular area to insert a chemotherapy catheter into. A doctor can insert a catheter into a vein, which carries blood in the direction of the lungs, or into an artery, which carries oxygenated blood away from the lungs to the rest of the body. Intra-arterial catheters are those which go into the arteries. These can be put in for one session of chemotherapy and then taken out immediately after. If the patient needs to have longterm treatment, and the doctor feels that a method of regular administration of the drug without constant placement of new catheters is useful, then the suitable option is to put in a catheter attached to a drug pump. This stays in place until the course of chemotherapy is over. Peripherally-inserted central catheters (PICCs), are those catheters that go into a vein of the arm and through the vein until it reaches the heart. This can stay in for up to a few months. Another type of catheter called an angiocatheter also goes into an arm vein but is taken out after one dose of the drug. When the vein used is the jugular vein or the subclavian vein on the torso, the catheters can be either tunneled or non-tunneled. Tunneled catheters are those that a doctor does not insert directly into a vein, but go through the skin and muscle of the torso before entering the vein. Non-tunneled catheters go straight through the skin into the jugular or subclavian veins. Sometimes the doctor or nurse refers to the catheter simply as a jugular catheter, for example, or by the name of the manufacturer who made a specific type. A chemotherapy catheter can also be placed into areas of the body apart from the circulatory system. An example is an intravesicular catheter, which allows drugs to act directly on bladder cancer, or an intrapleural catheter, which goes into the gap between the outer edge of the lungs and the covering of the lungs. The space inside the abdomen, which holds many organs, is another place where drugs may be delivered, with a catheter called an intraperitoneal catheter. Tenckhoff catheters are one particular example, and these have stabilizing cuffs on them to help them stay in place longterm. Tumors of the white blood cells and of the nervous system may require a chemotherapy drug delivered directly into the central nervous system. The catheters can be intrathecal, which means that they go into the spine, or intraventricular, which means that they go into the brain tissues. Doctors in different parts of the world may have different names for catheters, but essentially, a catheter is a hollow tube that goes into the body that acts as a delivery system for drugs. What Is an Intraperitoneal Injection? What Is an Intraperitoneal Catheter? What Is a Chemotherapy Pump? What Is Involved in Chemotherapy for Sarcoma? What Is Chemotherapy by Injection? What Medical Conditions Require a Triple Lumen Catheter? What is a Triple Lumen Catheter?